Concertgoers endured the cold while waiting in line outside the Fine Line Music Cafe in Minneapolis Friday night for the sold-out show featuring Mike Milosh and his band Rhye, but once they got inside, they were able to warm up and enjoy new tracks off the group’s sophomore album, Blood—at least for the first hour of the show. But disruptions in the final half hour were a spectacle of bad crowd behavior that made the first two-thirds of the performance feel like a distant memory once attendees poured out of the club at a quarter to midnight. In the first 60 minutes, Toronto-born Milosh and his seven-piece R&B outfit dazzled, playing tight and in sync. Rarely stopping for more than a few breaths between songs, they exhibited their new album, a welcome and intricate evolution of Woman, their inaugural record that debuted five years ago. The new music in Friday’s performance featured live drums, keys, an assortment of stringed instruments and horns, and a heavy dose of purple and blue lighting, which fit the mood of the songs like a glove. As pleasant and engaging as the opening progression went, the final half hour left the 90-minute set deflated as attendees left, disappointed, when the house lights came up, making it clear Rhye wouldn’t return to the stage for an encore. Dismay from the band was likely rooted in members of the crowd who didn’t seem to know what an indoor voice is or how to use it, particularly in the back third of the first level, frequenting around the bar. Dozens of attendees lacked respect for Milosh’s constant requests for them to quiet down while the group played through a somber progression. With venue staff dropping lights as a hint, and with the band performing in pitch-black conditions for a few minutes, nothing seemed to work, and all momentum was lost as the group had to build in delayed intros while Milosh pleaded for silence. At one point, he even sang during one of their extended intros, “That girl in the back, stop talking to your friends.” She didn’t. Before arriving in the Twin Cities to headline, the band tweeted that one of their hotel rooms had been robbed while they were in Chicago two nights prior. Although that wasn’t acknowledged during Friday’s set, the incident couldn’t have done anything to help the mood of what unfolded during the concert’s waning minutes in Minneapolis. There were some high points. “Count to Five” and “Song for You,” both new tracks, were met with lots of enthusiasm and even some dancing. Old favorite “The Fall” was another treat. Overall, the group’s new additions from Blood encapsulated the range they’ve added to their catalog, a welcome treat for a group that had been touring endlessly without a ton of music to draw from. 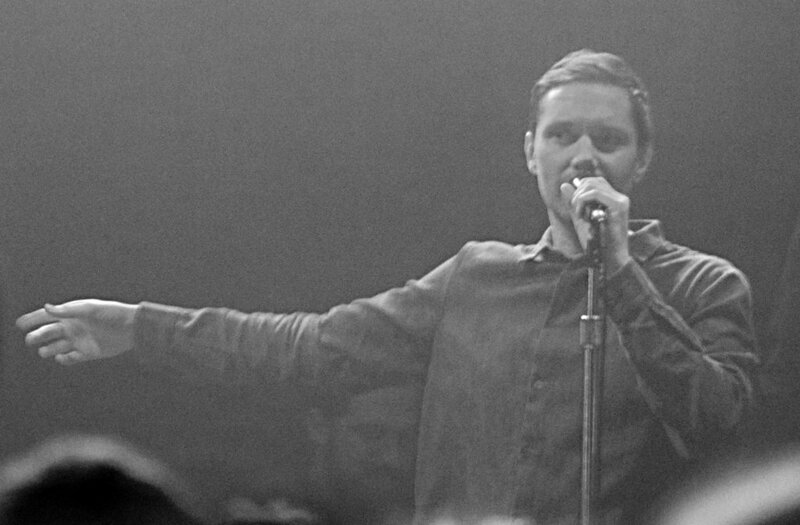 The abundance of live shows was due to Milosh’s desire to buy out his previous record deal rather than shutting down the project when faced with a no-win scenario to get out a second album. However, with half a decade, there comes a lot of time to think, tweak, develop, and record. 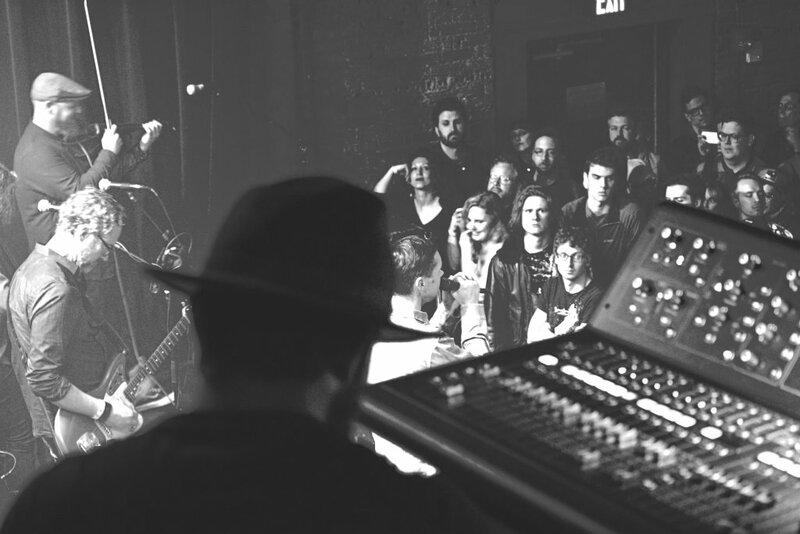 Milosh’s vocals have grown, his range has expanded, and the melodies are thicker. The surrounding band is equally smooth, and there’s more hustle and fullness layered into the music as the instrumentals blend seamlessly with the finessed vocals. Released in February, Blood was five years in the making, which built anticipation culminating in a packed Fine Line that left sight lines impaired and made moving around difficult, especially early on. A two-story venue with a high ceiling and visually stunning decorations with an abundance of open space juxtaposes the club’s physical lack of floor space, making its layout deceiving. That didn’t stop anyone from dancing Friday, however, including Boulevards’ Jamil Rashad, who got on stage with the headliners to gyrate for a cut. 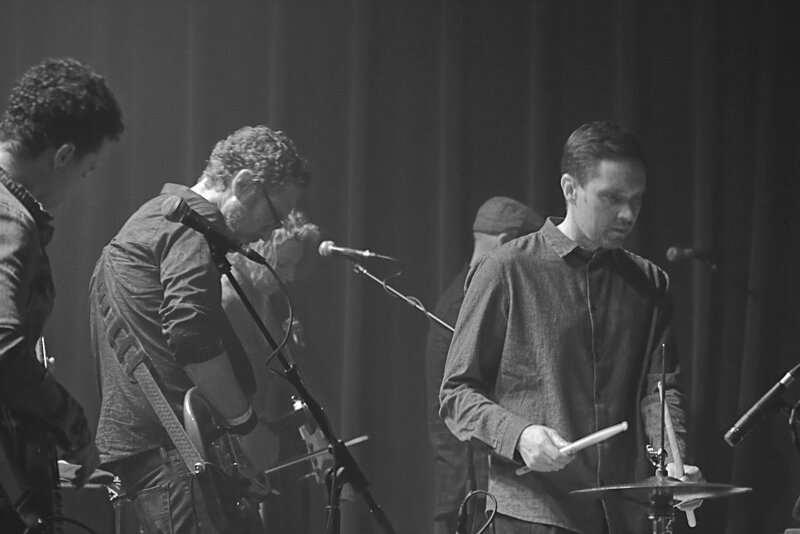 As great as Rhye performed through the early going, Friday served as a cold reminder that sometimes things have a way of getting mucked up during a live show, whether the band has anything to do with it or not. Milosh wasn’t wrong when he told the crowd before ending the night, “This song only works if you’re quiet.” Take that a step further. The entire record needs that silent space to breathe and evolve to work.